When considering a hosted VoIP phone service for your business, are you concerned about the voice quality of your phone conversations with your customers? Do you believe that with increasing availability of expanded bandwidth that call quality concerns are diminished? Most people that I talk to agree that voice quality is important not only as a reflection of their business, but to ensure that operations run smoothly. And, while increasing internet bandwidth may be an option, it certainly does not diminish call quality concerns with VoIP. Hosted VoIP continues to be the product of choice for businesses looking to affordably increase their communication functionality and replace their old technology. However, it is extremely important to select a provider who has a focus on call quality and the network infrastructure and appliances to deliver a crisp and clean voice conversation using VoIP. sipVine, a Kansas City-based Hosted VoIP company, is an example of a provider who has such a focus on call quality for their customers. I was asked recently if call quality was still a point of consideration before businesses switch to VoIP, and I needed to pause before answering. Certainly, when sipVine began in 2005, not only was there a general uncertainty over the new technology, but also a vast opinion that the call quality could not be as good as an analog line. Such opinions were formed from poor experiences with national consumer VoIP providers, and from business providers running VoIP over lower bandwidth connections at the customer locations. However, such objections do seem to be in the past, as companies are no longer fearful of VoIP and it is the preferred technology as businesses replace current systems. That said, call quality is still very much something that needs to be managed, and managed correctly. The same day after being asked the question on the relevance of call quality in the process of choosing VoIP, we closed two sales from companies using national VoIP providers and were experiencing horrific call quality. We encounter this situation routinely. Most national providers suggest that the business expands their bandwidth or purchase an additional internet circuit to pass the phone traffic. This action is an unnecessary use of money and network resources, and still doesn’t guarantee improved call quality. Quality of Service (QoS) Software and Network Design - Our technology team believes strongly that the best way to manage VoIP call quality is to have an on-network "traffic cop.” Resident on the router or through an edge appliance on the network, we manage call quality by prioritizing voice traffic over the data traffic. To the naked eye, you do not see any network slow down by such prioritization routines. However, to the ear, you certainly can notice when your data traffic interrupts the voice packet delivery. This software allows businesses to utilize the same internet connection for voice and data and, many times, this action will negate the need to expand bandwidth just to run VoIP. Most importantly, simply expanding bandwidth does not remove the potential for data packets to interrupt voice packets! sipVine also has a unique network design that creates an optimum mix of internet and public telephone network utilization. 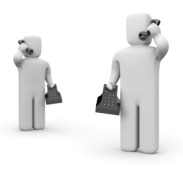 Although it is more expensive to operate, we believe it is a small price to pay to produce a quality call environment. Call Quality Troubleshooting - Even with QoS software and an optimal network topology, there are cases where the customer experiences degradation of voice quality, as manifested by one-way audio or choppy communication. sipVine technicians routinely help identify the root causes, whether it be a customer network related issue or an internet circuit related issue. Only on rare occasions do we see where normal data and voice utilization are saturating the bandwidth provided! In every case where we've rescued a customer from a national VoIP provider, the initial recommendation was always to expand bandwidth. Examples of network challenges we've encountered were certain workstations being hit with a virus and saturating either the upload or download side of the available bandwidth. This would lead to one-way audio. Our technicians were able to, remotely, identify the workstation(s) driving the issue. Other examples are when customers have established new network backup or storage routines during business hours. After pointing out the impact it was having to overall network performance and voice quality, these customers usually changed the timing of their routines to after business hours. Finally, many times there's an issue with the internet circuit itself. Perhaps there's a higher amount of latency than acceptable, or that the ping times that measure the round trip latency are not consistent. For example, if they typically run at 15-25 milliseconds and the current experience shows 25ms, 25ms, 100ms, 90ms, 20ms, etc., there is going to be a problem in voice quality. sipVine technicians have helped our customers effectively communicate with their internet provider by providing such reports on circuit performance so that it may be quickly addressed. So, back to the question that was posed to me. 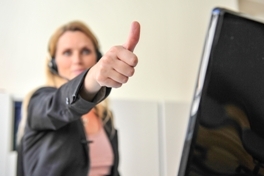 The answer is unequivocally YES, call quality does matter when considering VoIP! If you’re considering outsourcing your business phone service, our advice is to work with a provider who makes quality a priority within their own network, and will actually help diagnose any problems with networks or circuits that may be driving a problem. Is Voice Quality and VoIP an oxymoron? It very much can be, and for business applications it is imperative that your VoIP Service Provider has a solution to address voice quality. Sharing internet bandwidth for voice and data is a good thing, allowing for the convergence of communication features and the economization of connectivity. Sharing bandwidth without quality of service protocols, however, is not wise. This can lead to intermittent silent pauses, which is just one of the voice quality concerns with VoIP. Delay, due to latency or jitter, or voice echo, due to inferior or lack of noise cancellation equipment, are additional challenges with VoIP. Some VoIP service providers merely drop ship your pre-configured phones with the instructions to plug them onto your network and all will be fine. They may have sized your bandwidth correctly and applied compression to your voice packets as their recommended solution. This is not enough! An evaluation of the path to their host site is important to ensure latency is within acceptable limits. Also, your VoIP provider needs to provide some level of traffic management at the router level or an edge device to your network. This “QoS” solution keeps the voice traffic prioritized and without interruption by data traffic. Don’t let this happen to you. Make sure your VoIP provider is as focused on voice quality as they may be on features and benefits. Check out sipVine’s VoIP QoS solution as an example of a provider who places a premium on voice quality for all of the business digital phone service customers.